Does your Kid think he's a king? Well make him feel like one now with the Kids Castle Combo Bounce House. This bouncer is fit for a king. Let your special someone claim their throne today. This 15' Tall bouncy house rental will have all your guests excited to be at your event. If you need more entertainment ideas, please check out our available games section. Brand new addition to our inflatable bouncers!!! Made just for the little princes and princesses! Calling all Royal Majesties! 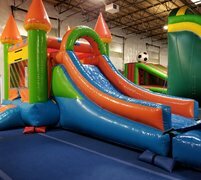 Imagine yourself holding court in this castle themed bounce house combo of fun!! Be a King or Queen for the day in your very own Castle!! 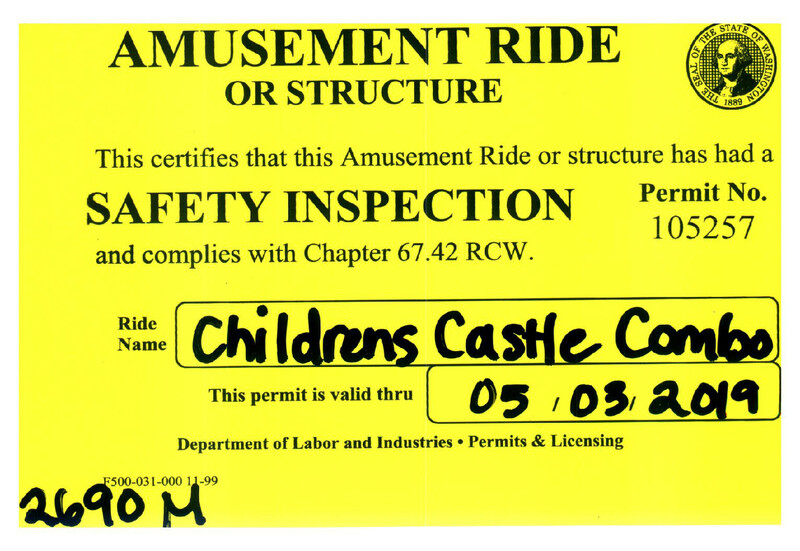 There's no better place for it than in the beautiful Castle themed bounce house & slide combo! !